A few years ago, March 2013 to be exact, I saw this car parked in downtown Roswell. 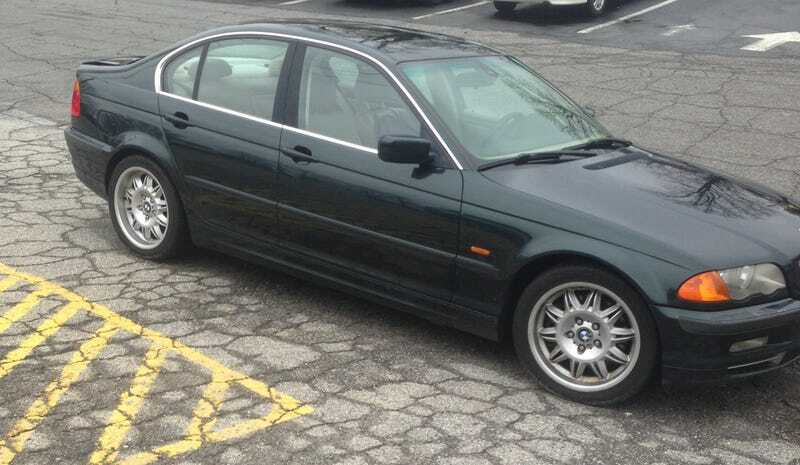 Usually it seems that newer rims get put on older cars, E46 wheels on an E36, but this seems to be an exception. I guess it looks alright, probably helps that they’re M3 wheels. Also, as far as the picture itself goes, I think there was some damage on the car when I took the picture, and I didn’t want to include that in the photo. If you can’t tell, the truck is damaged. Since this was taken over 5 years ago, this car is probably off the roads by now.